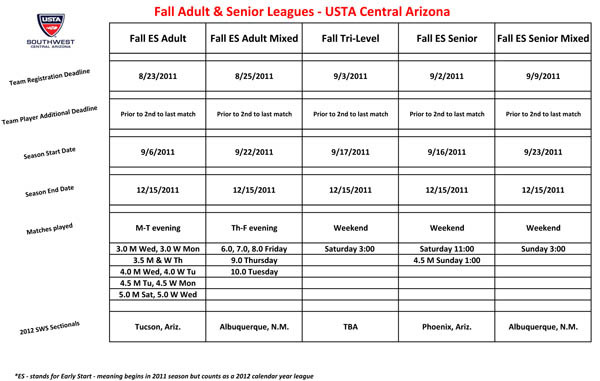 USTA Central Arizona's Fall League Schedule Dates are out for Adult, Adult and Senior Mixed, and Senior Leagues. Click here to see a larger version or check the spreadsheet below to find out when your league is playing. For more information on leagues, contact Leslee Baska at leagues@phoenixtennis.com.